Peter Strzok, a longtime agent who once worked on special counsel Robert Mueller's Russia investigation, was fired by the FBI after he sent text messages criticizing President Donald Trump to a colleague. Strzok was removed from Mueller's team a year ago after the texts were discovered. Trump's allies have seized on the texts, saying they show the investigation into possible co-ordination between the Trump campaign and Russia is tainted by political bias. Strzok's lawyer, Aitan Goelman, said his client was fired late Friday by FBI Deputy Director David Bowdich. He said the 21-year veteran of the FBI was removed because of political pressure and "to punish Special Agent Strzok for political speech protected by the First Amendment." Goelman also said the FBI had overruled the agency's Office of Professional Responsibility, which he said had determined that a 60-day suspension and demotion from supervisory duties was "the appropriate punishment." Texts between the two included their observations of the 2016 election and criticism of Trump. They used words like "idiot," "loathsome," "menace" and "disaster" to describe him. In one text four days before the election, Page told Strzok that the "American presidential election, and thus, the state of the world, actually hangs in the balance." In another text, Page wrote Strzok in August 2016: "[Trump's] not ever going to become president, right? Right?!" Agent Peter Strzok was just fired from the FBI – finally. The list of bad players in the FBI &amp; DOJ gets longer &amp; longer. Based on the fact that Strzok was in charge of the Witch Hunt, will it be dropped? It is a total Hoax. No Collusion, No Obstruction – I just fight back! 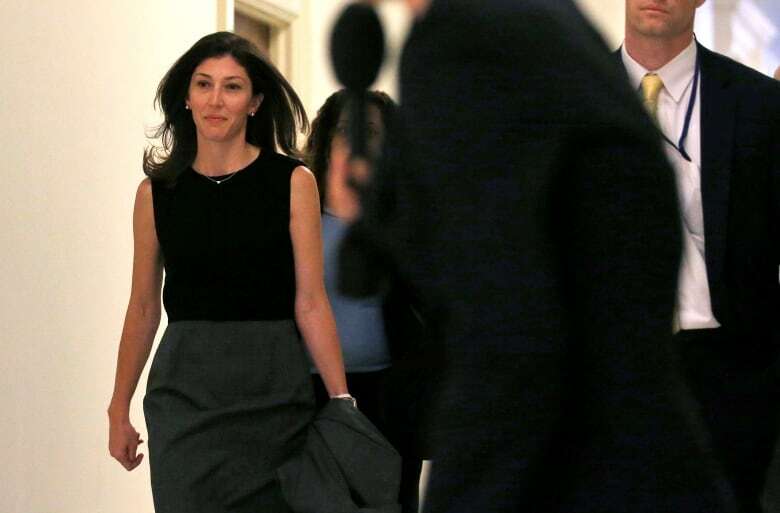 North Carolina Republican Rep. Mark Meadows, one of the leading critics of the FBI investigations, said Strzok was fired "because of what his own written words plainly showed: he was willing to use his official FBI position to try and stop President Trump from getting elected. He tarnished the FBI's sterling reputation and severely damaged public trust in an institution where trust is paramount." Trump has launched public campaigns against prominent FBI officials and both his Attorney General Jeff Sessions, and Sessions's deputy, Rod Rosenstein. He fired FBI Director James Comey less than halfway into his tenure in May 2017, which helped pave the way for the special counsel to take over investigations into Russia interference. The president also lashed out at the subsequent acting director, Andrew McCabe, both for his actions with respect to the Clinton investigation and the fact that his wife once mounted a run for political office that saw her receive donations from prominent Democrats. McCabe was fired from the bureau earlier this year, just two days shy of his retirement date.